MAD Architects, Michael Maltzan and wHY are among the studios whose work is showcased in a new exhibition about domestic architecture in Los Angeles (+ slideshow). 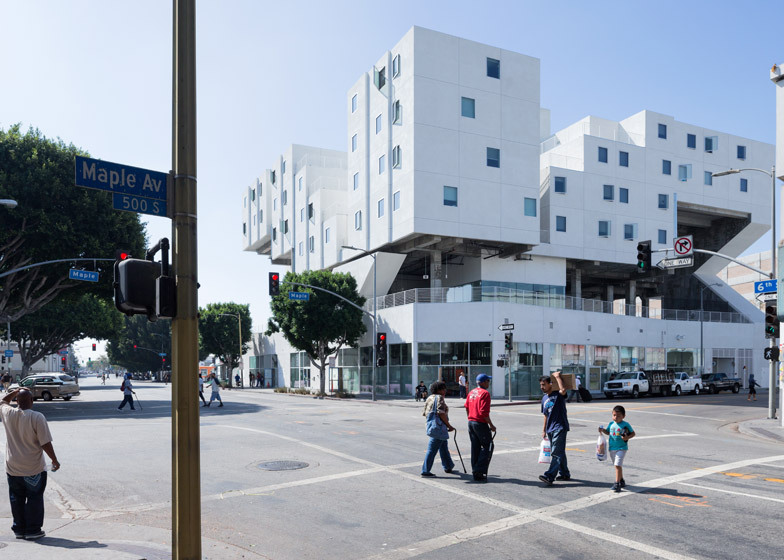 Shelter: Rethinking How We Live in Los Angeles opens 20 August at the city's A+D (Architecture and Design) Museum. It is the first show to be staged within the museum's new home in the downtown arts district. Featuring large-scale models, drawings, images and videos, the show presents both conceptual and realised designs for residential architecture in LA, the second largest American city behind New York. "[The show] examines new challenges the city faces, like population saturation, stratospheric costs, crushing congestion, and unprecedented environmental crises," said writer Danielle Rago, who curated the show with journalist Sam Lubell. 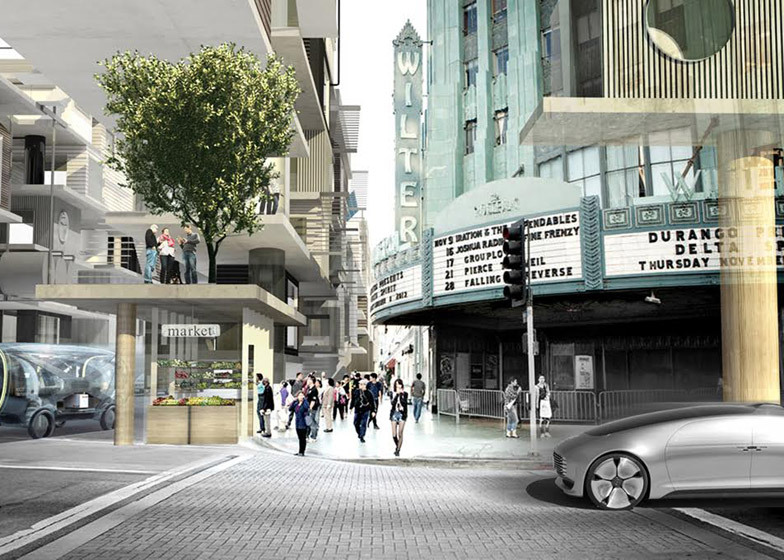 "Los Angeles is going through monumental changes, re-embracing density, mass transit, and the public realm in general. 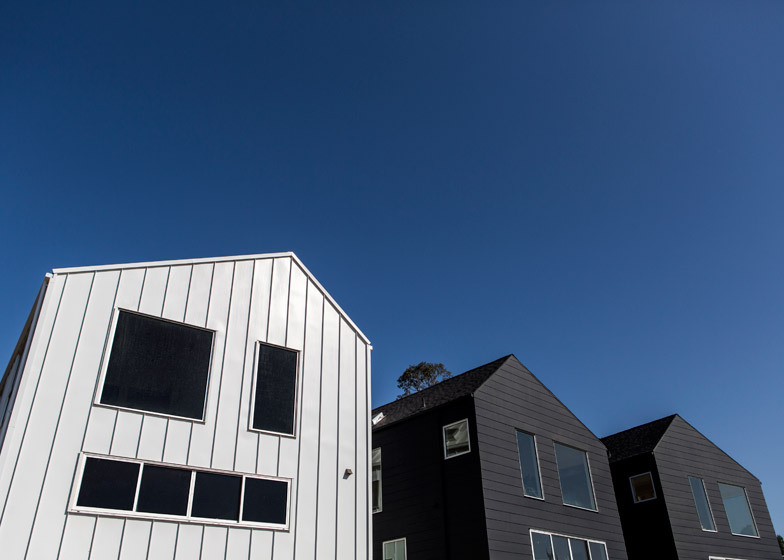 But while the city has always been a centre for residential experiment, most of its predominant housing models have not properly adapted to this new reality," added Lubell. "The show is meant to encourage a conversation about pushing LA's designers, officials and residents to fight for a residential realm that is in more innovative and more in sync with these new realities." 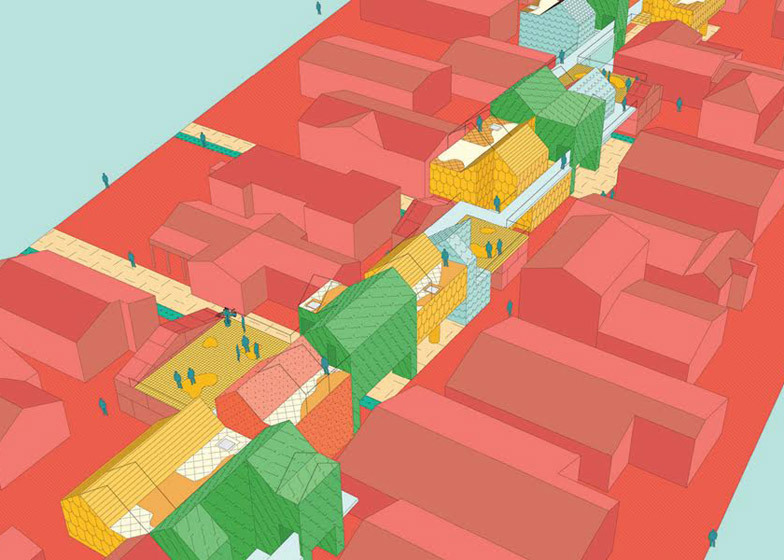 The majority of the show is dedicated to presenting imaginative housing proposals by six local firms: Bureau Spectacular, LA-Más, Lorcan O'Herlihy Architects, MAD Architects, PAR and wHY. Their schemes were conceived for one of two sites: the Los Angeles River, a canal-like waterway that winds through the Southern California metropolis, and the Wilshire Corridor, a stretch of high-rise residential buildings in the city's downtown area where a new metro line is being built. 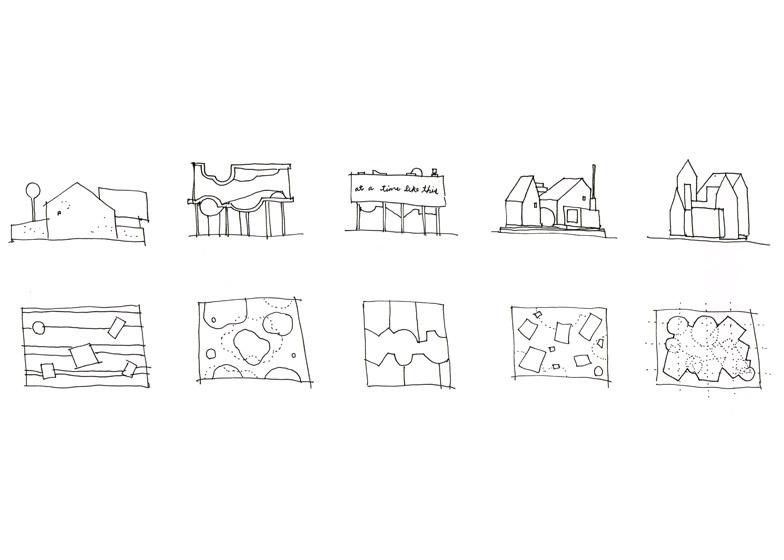 Bureau Spectacular, founded in 2008, created five different concepts for sites near the river. The firm conducted research along the waterway, with a goal to understand what makes a house "normal" in LA. "When we returned from our journey, we noted five particular normal conditions to further pursue: the wet and dry pool cultures, the fascination with vegetations on facades, the car culture and the dingbat, the willingness for physical de-compartmentalisation of a domestic unit, and the asymmetrical mash-up in Spanish Styles or Queen Anne Revivals," explained the firm. LA-MÁS, a nonprofit design organisation, conceived housing schemes for the Elysian Valley, which is a neighbourhood that abuts the river. "Our vision is to write an alternative history for the future of the neighbourhood that will serve as a resident-led and resident-owned model for low-rise high-density housing," said the firm. Lorcan O'Herlihy Architects (LOHA), established in 1990, designed a series of small-scale shelters that combine living, public space and water-based infrastructure. 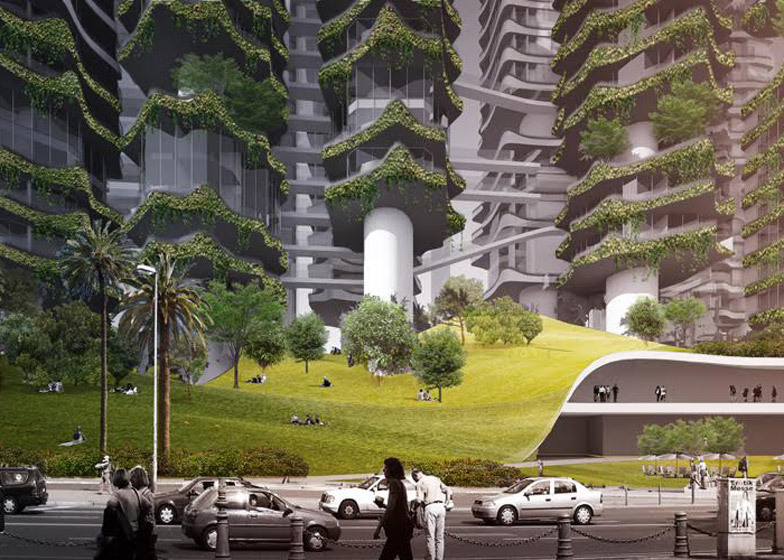 "By capitalising on redundancy in outmoded land use and secondhand infrastructural networks, and through the opportunistic occupation of publicly owned land remnants, an entirely new model for urban regeneration can emerge," the firm explained. 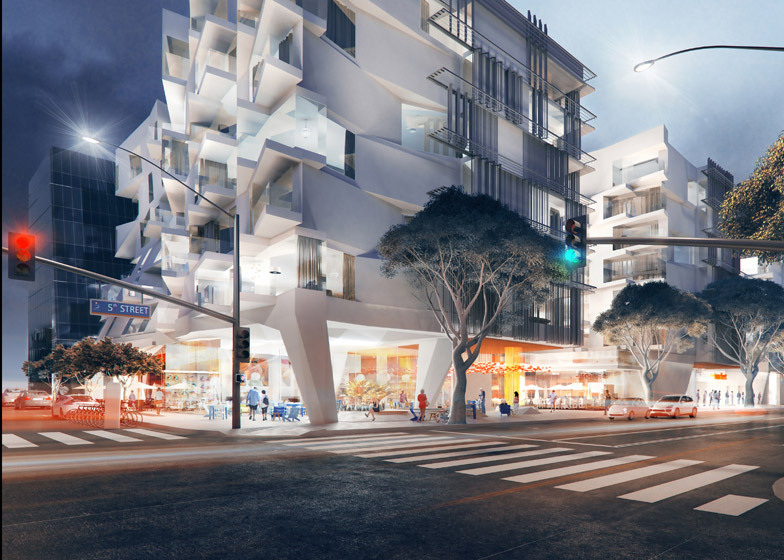 MAD Architects, started in 2004, focused on creating housing near Museum Row, which is located along Wilshire Boulevard. 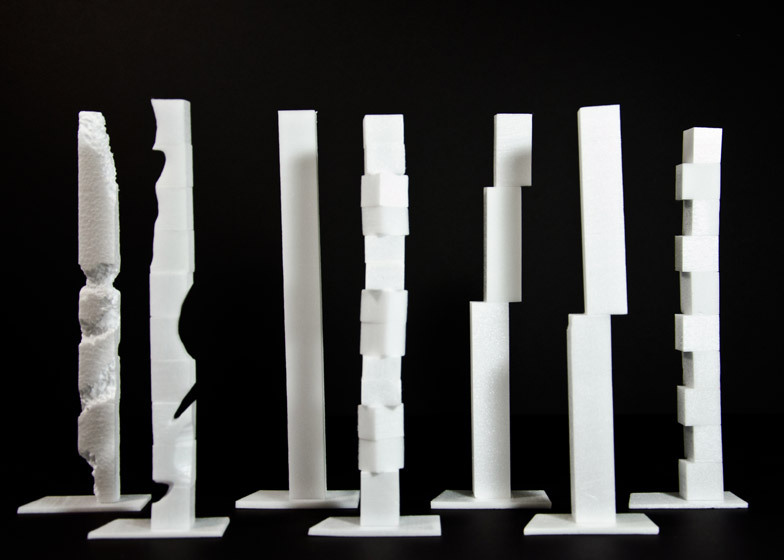 The firm proposed a collection of sinuous towers of varying heights. 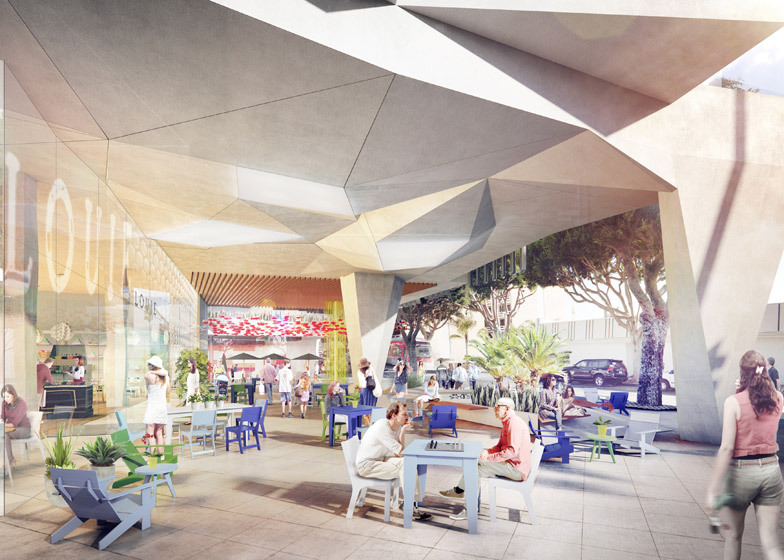 "Among LA's sprawling street-grid and multiple city centres, the proposed concept offers a contemporary housing typology the vertical village – to cohere the disparate neighbourhoods surrounding Museum Row and integrate a sense of community," said the firm. 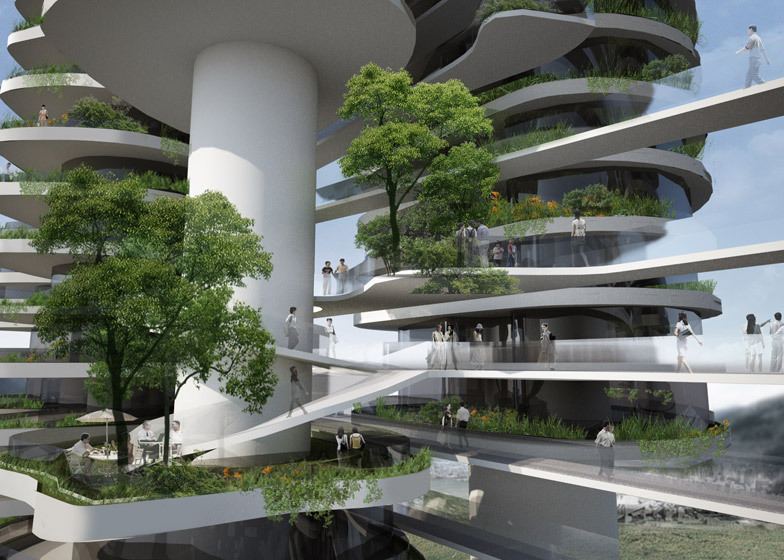 PAR, an architectural office started in 2003, proposed a high-rise courtyard housing scheme for a site across from the Los Angeles County Museum of Art (LACMA) – where a developer plans to build a mixed-use skyscraper. 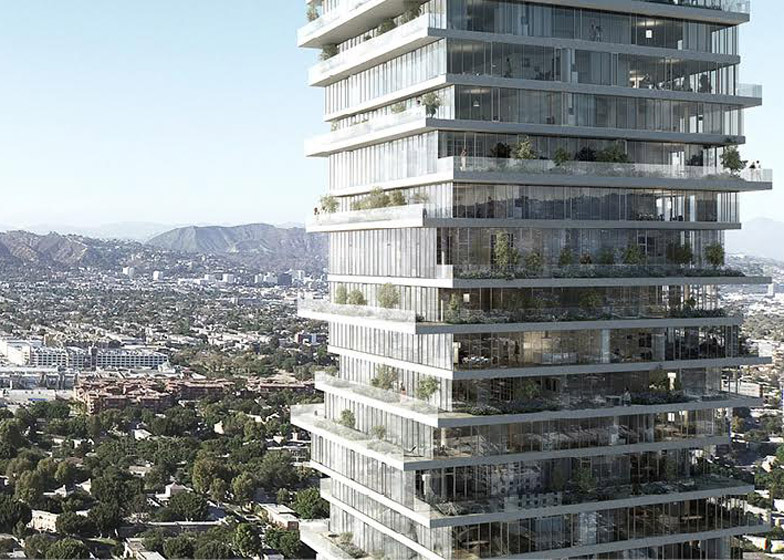 "Typical residential towers, while successful in providing density, rarely provide living environments with individuality or access to nature, two qualities that are the essence of Los Angeles living," the office said. 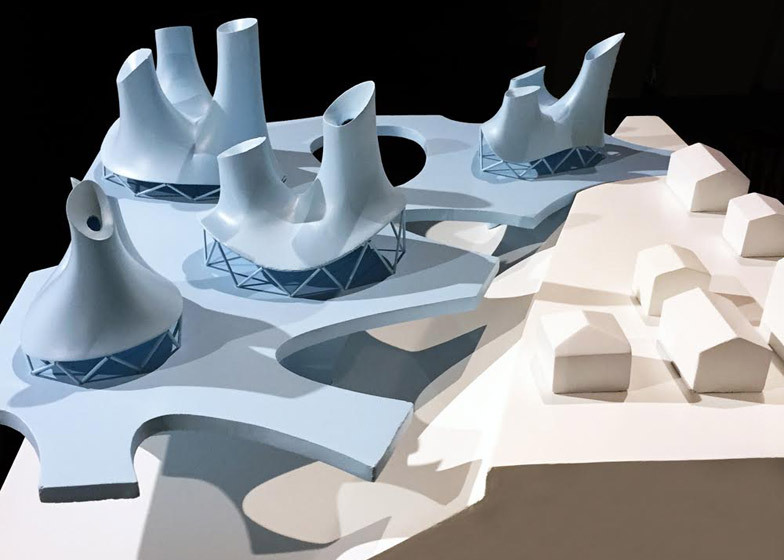 "Our proposal acts against this endemic anonymity and repetitiveness of the recent past and puts forth a new model for the contemporary tower." 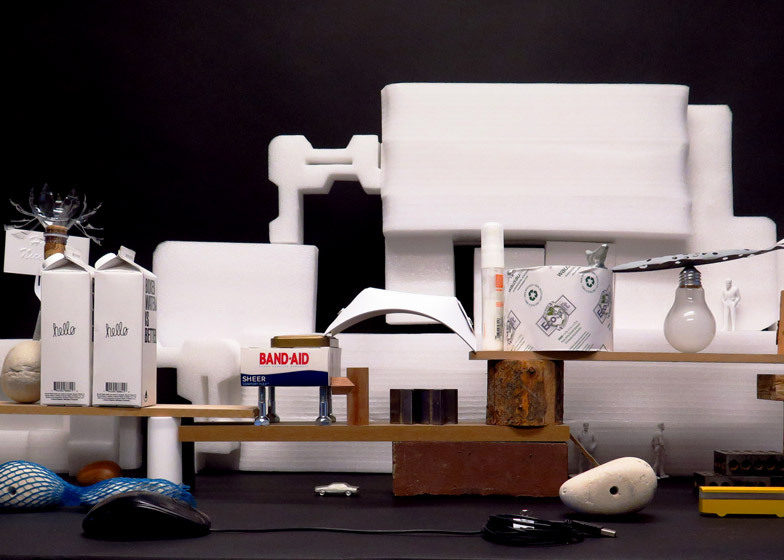 wHY – a firm with offices in LA, New York, and Louisville, Kentucky – used quotidian objects like milk cartons and a light bulb to create a model of a mixed-use site along the Wilshire Corridor. "This new infrastructure stands to become a landscape that inhabits the grey zone between regulation and disorder and challenges our expectations of domesticity in LA," wHY said. 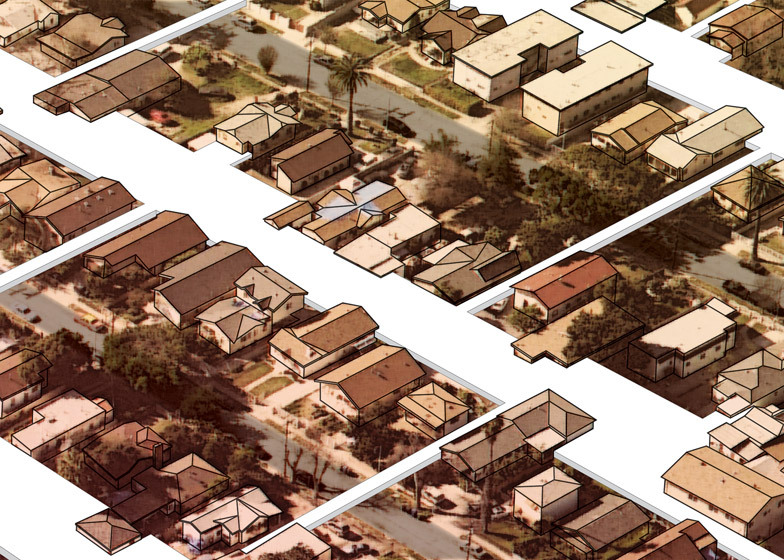 The exhibition also highlights residential projects in LA that are completed or are now in progress. The featured designers include Kevin Daly Architects, Michael Maltzan Architects, Bestor Architecture, OMA and Koning Eizenberg. The exhibition is on view through 6 November 2015.